Who were Christopher Steele’s ‘salacious and unverified’ DNC-funded sources alleging Russia collusion? One mystery still surrounding the outlandish allegations of Trump campaign-Russia collusion by the Democratic National Committee and Clinton campaign-funded vendor Fusion GPS and former British spy Christopher Steele is who Steele was talking to in 2016 that led to the formulation of the now infamous dossier. The sources are everything. It’s how you can say this whole thing was Simpson and Steele catching the crime of the century or that it was all made up. Therefore, the sources, or Steele himself apparently took what they thought were the travel records, and then could have filled it in with garbage. As it turns out, there was one big problem. Steele had the wrong Michael Cohen. 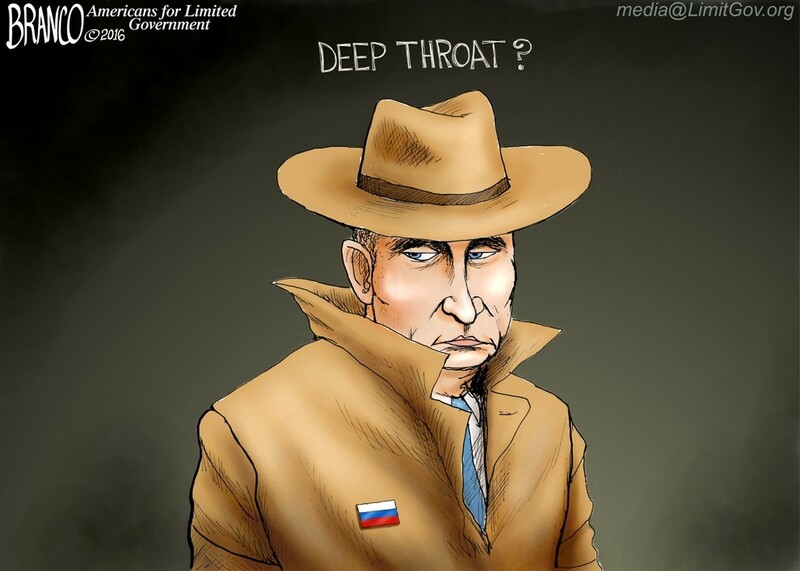 He was never in Prague, let alone being in Prague meeting with Russian agents cleaning up supposed fallout from the Wikileaks disclosures as Steele alleged. So, what, move on? Nothing to see here? Just a second. This is key. If the same sources who said Page was in Moscow colluding on the DNC hack and putting emails on Wikileaks were the ones who said Cohen was in Prague when he couldn’t have been, then not only were the conversations Cohen supposedly had while he was there made up, but so too then is anything Page or anybody else in the dossier mentioned is said to have done similarly suspect of being fraudulent. After his first June 20, 2016 memo on Trump and the prostitutes in the Moscow hotel room (by then Steele had not yet written on Page or Cohen), Steele felt compelled to turn the information into the FBI in the first week of July 2016, according to Simpson. He seemed pretty sure of himself. Simpson denies ever telling him to go to the FBI. In response to Gowdy’s question, “[H]ow much did you pay Chris Steele?” Simpson replied, speaking of bank records: “I think what we’ve told the committee from the bank records is that it was ultimately $160,000. That sounds right to me. I think probably the initial engagement was for 20 or 30 thousand dollars. There’s, you know, currency differences between pounds and dollars, so I don’t remember how it was denominated or exactly how it was priced.” Fusion was paid about $1 million for the whole project. So, Simpson never corroborated the dossier’s sources. Comey says the dossier was “salacious and unverified” as of June 8, 2017. Deputy FBI Director Andrew McCabe says about the only thing they could corroborate from the dossier was the fact that Page had traveled to Moscow. Again, per Simpson, Steele hired sub-contractors who got the dirt, presumably from sources on the ground in Russia. But who were the sources? If so, then Russia apparently wanted to implicate itself in the DNC hack, as implausible as that may sound. Recall, in the dossier, per Steele’s sources, Russia was accused by the DNC of hacking its emails and putting them on Wikileaks. There are more implications. The dossier also contained information implicating Russian intelligence services in keeping a secret dossier on Hillary Clinton. If the sources were Russian agents, they were potentially revealing state secrets. Or giving disinformation. Also, the Democrats paid Fusion and Steele, who paid his sources, so if they were Russian agents, as Grassley contends, the Democrats were actually the ones colluding with Russians. Steele was also offered money from the FBI. And his intelligence was used to pursue the investigation into Trump. So, if the sources were Russian agents, then the FBI was perhaps knowingly working with Russia. That’s a lot to prove. On the other hand, Steele’s sources could have actually been part of a dissident or foreign group that was working against Putin and had an interest in implicating Russia in the Wikileaks publication of the DNC emails. Or maybe they were just low or mid-level operatives Steele’s contractors knew, who then relayed unverified gossip but perhaps really didn’t know anything. In which case, there may have been no Russian plot at all to take credit for the DNC hacks. Or they could have simply been paid sources with a financial incentive to reach an outcome pre-determined by Fusion’s DNC and Clinton campaign paymasters, that Trump was a Russian agent, to suit their talking points. Either way, since that time, it was reported by ABC News on Aug. 22, 2017, the same day of Simpson’s testimony to the Senate Judiciary Committee that “Steele has met with the FBI and provided agents with the names of his sources for the allegations in the dossier.” But when was that? It could have been the same Sept. 2016 meeting Steele had with the FBI that Simpson testified about. Simpson told the Senate Judiciary Committee that “they wanted to know everything he had” and so he gave it to them. Perhaps Steele’s sources were not credible after all. Despite that, apparently the dossier was used to launch a national security investigation into the Trump campaign by obtaining Foreign Intelligence Surveillance Act (FISA) court warrants. And after it turned up nothing, the FBI doubled and tripled down on its investigation after Trump won the election, with the seeming goal of overturning the outcome and removing Trump from office. But the FBI is the one that has the sources. Steele gave them “everything he had.” Those sources should be turned over to Congress immediately if they have not been already.